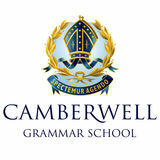 Friends Of Snowsports Friends of Snowsports aims to promote skiing and snowboarding within Camberwell Grammar School and provides boys interested in the sport the opportunity to participate in a varied programme of events. In the second week of the Term Two holidays the school conducts a family Snowsports week where Camberwell Grammar families stay on a Victorian mountain and the children enrol in skiing and snowboarding lessons (from beginners to advanced). Race training is also offered. The focus of the winter season is the preparation for the Victorian Interschool Snowsports Championships. Parents assist the school and the boys with transport and by acting as officials on two practise sessions and during the finals. Successful teams may then qualify for the National Interschool Snowsports Championships. Friends of Snowsports organise race clinics, competitions and lessons and hold a stall at the schools Open Day. Approximately 50 boys from Junior, Middle and Senior Schools participate in skiing and snowboarding from beginner to advanced levels. Your involvement in the sport would be most welcomed.